Are you a coffee person? Do you have to have your caffeine every morning? Do you have a favorite brand, roast? I like coffee but I am a social coffee drinker. I remember growing up my mom drinking her cafecito every morning. Traditionally Hispanics grow up drinking coffee all day long especially after our meals. 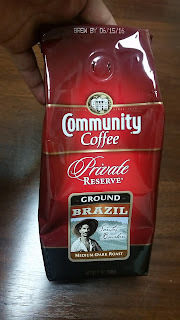 Thanks to Community Coffee Company, the largest family-owned coffee company in the U.S., for sending me samples of their Private Reserve for review on my blog. 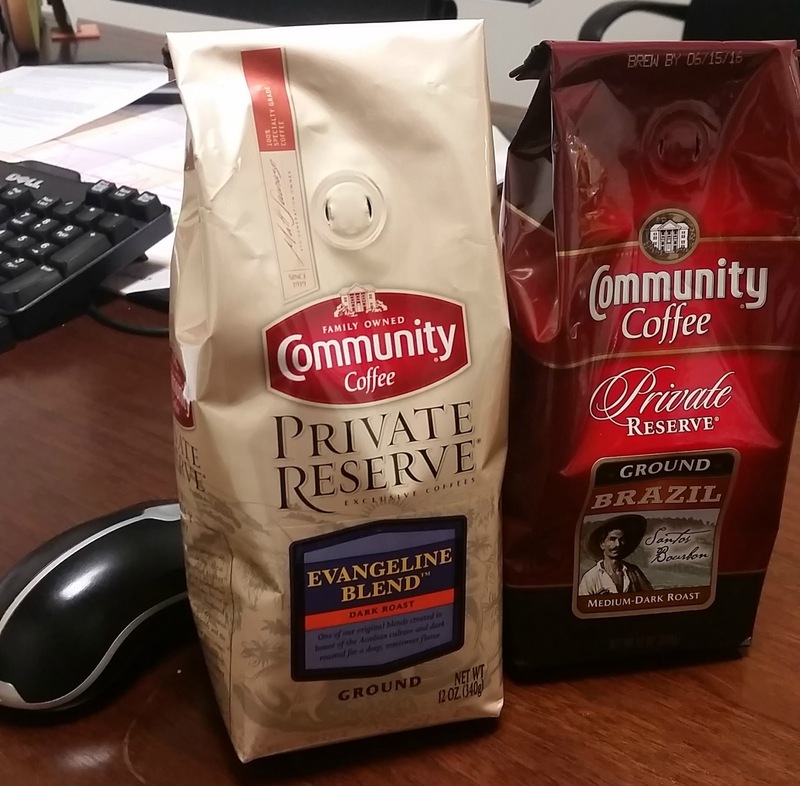 Community Coffee Private Reserve coffee line is made from 100% specialty-grade Arabica beans. Brazil Santos Bourbon is a single-origin coffee features the first variety of Arabica beans introduced to Brazil. Experience the smooth, mellow flavor of this special South American blend, made from the top 1% of the world's coffee beans. 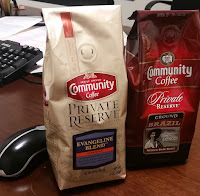 I normally drink Community Coffee Café Special which is a medium-dark roast. So this blend was a blend I like. It is not too strong nor too weak. It has a good flavor. 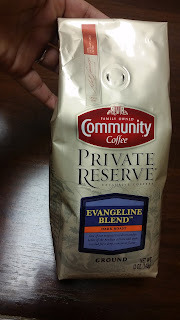 Evangeline Blend™ is an exclusive blend created in honor of the Acadiana culture that supported the Company in its early days. It combines the top 1% of the world's coffee beans to create a dark roasted coffee with a semisweet finish. This blend is really smooth. If you normally drink dark roast, this is your blend. This blend is available in ground or whole bean. Both bags are re-sealable. If one of these blends is not for you, Private Reserve has several other options to choose from.